On the forefront of regenerative medicine, PAIN DOCTOR Pain & Regenerative Medicine serving Arlington, Fort Worth, Dallas and surrounding Texas cities is offering new umbilical cord stem cell therapies as well as AmnioFix® joint arthritis treatment to help promote tissue regeneration. The partners at PAIN DOCTOR Pain & Regenerative Medicine are pleased to bring new regenerative treatments to their patients in Arlington, Ft. Worth, Dallas and surrounding communities. BioBurst Rejuv and Liveyon ReGen® umbilical cord stem cell therapies, and AmnioFix® composite amniotic tissue membrane help promote and accelerate healing for many acute and chronic injuries. Patients who have not seen an improvement in soft tissue injuries with more traditional pain management techniques, or who are trying to delay or eliminate joint replacement, now have more options with these innovative treatments. Platelet rich plasma (PRP) treatment and bone marrow aspirate concentrate (BMAC) can help promote healing for many patients suffering from soft tissue injuries; however, as the body ages, it becomes more difficult to achieve tissue regeneration using its own pluripotent stem cells. 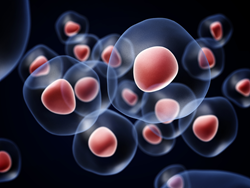 For patients over the age of 60, a combination of PRP and umbilical cord stem cells can help promote optimal tissue regeneration. BioBurst Rejuv and Liveyon ReGen® umbilical cord stem cells are a rich source of growth factors including collagen, elastin and fibronectin, which all help support tissue repair and regeneration. Umbilical cord stem cells also provide anti-adhesive and anti-microbial properties that play an important role in treating soft tissue injuries. BioBurst Rejuv and Liveyon ReGen® umbilical cord stem cell treatments both meet and exceed the highest industry standards. These stem cells are received after a childbirth from a healthy donor who has been pre-screened through an extensive medical review. To learn if you are a candidate for BioBurst Rejuv umbilical cord stem cell therapy, Liveyon ReGen® umbilical cord stem cell therapy or AmnioFix® joint arthritis treatment, please call our office at 817-468-4343. Regenerative medicine physicians Dr. Andrew Cottingham, Dr. Michael Phillips and Dr. Scott Berlin provide leading edge regenerative medicine options to patients in Arlington, Ft. Worth, Dallas and surrounding Texas communities who are suffering from acute and chronic pain. Each physician on the team is double board certified in anesthesiology and pain medicine and their collective expertise includes a full range of treatment options. No matter what your stage of life, PAIN DOCTOR Pain & Regenerative Medicine delivers comprehensive, current and most importantly, compassionate medical care.